Heard on Radio Lab the other day. 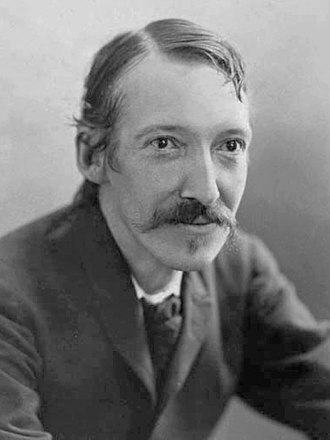 It seems Robert Louis Stevenson got stories from little people who lived inside his head. If only my stories were so great! Don’t they know there’s little time and so much yet to say? And I will shoulder all the blame, when everything else fails! The Olympics are on again, and everyone knows that those some cheaters (uno who) won’t be there because they were caught using banned performance enhancing drugs. Steroids, mostly, which make muscles bigger and stronger. 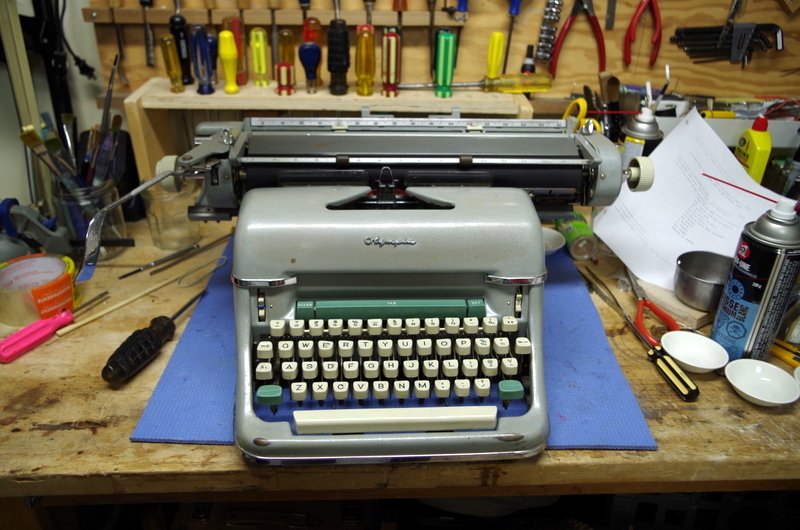 I get my muscles however from lifting my Olympia SG1 typewriter. That machine has appropriately been described as a typewriter on steroids, for it is larger and stronger by far than most every other typewriter I’ve encountered. I recently brought it home from a thrift shop, where it sat on the floor because the staff found it too heavy to lift up onto a shelf, no doubt. Perhaps that is why it has a removable carriage. It does help to take the carriage off when carrying the thing, but even so the base unit remains one heavy sucker. I only brought this home because it is something to be seen and admired. Under the bodywork, which is thick bulletproof steel, is a cast steel structure that more resembles part of a building or a bridge than any other typewriter. The only real problem I encountered with it was the sliding metal block of the right margin control, a piece that incomprehensibly was made of cheap pot metal. That stuff is infamous for self destructing due to internal oxidation. Why Olympia made those parts from such bad material is puzzling, as everything else on the machine is made of extra large extra strong steel. 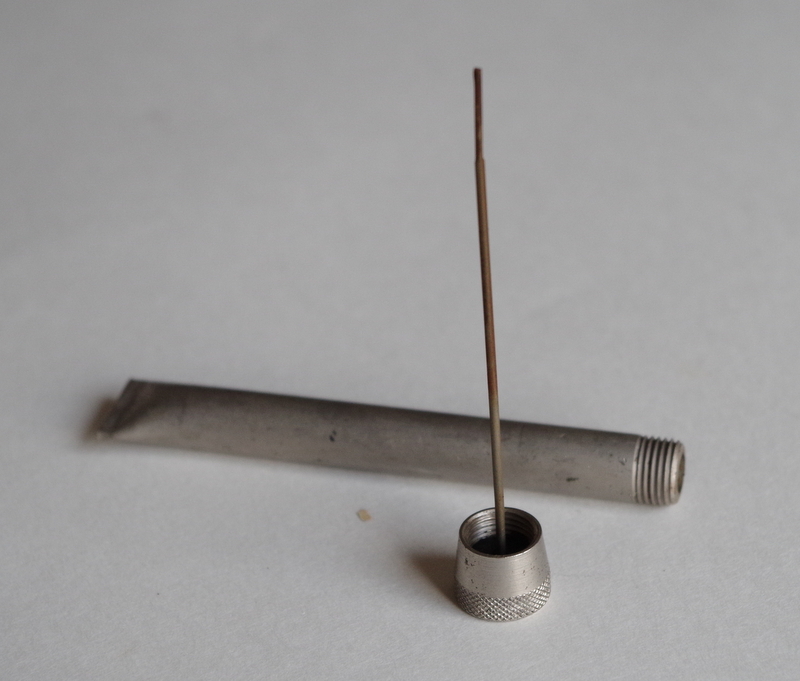 I salvaged the part by gluing it back together with JB-Weld and little pieces of scrap steel cut from a tin of canned tuna, the sort that peels open with a ring pull. Lets hope that steel holds up. 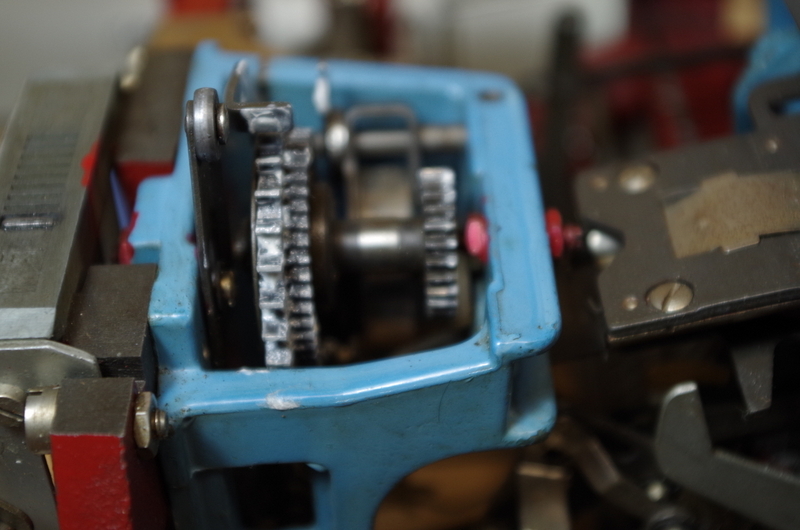 It works again, and the carriage stops at the set point. 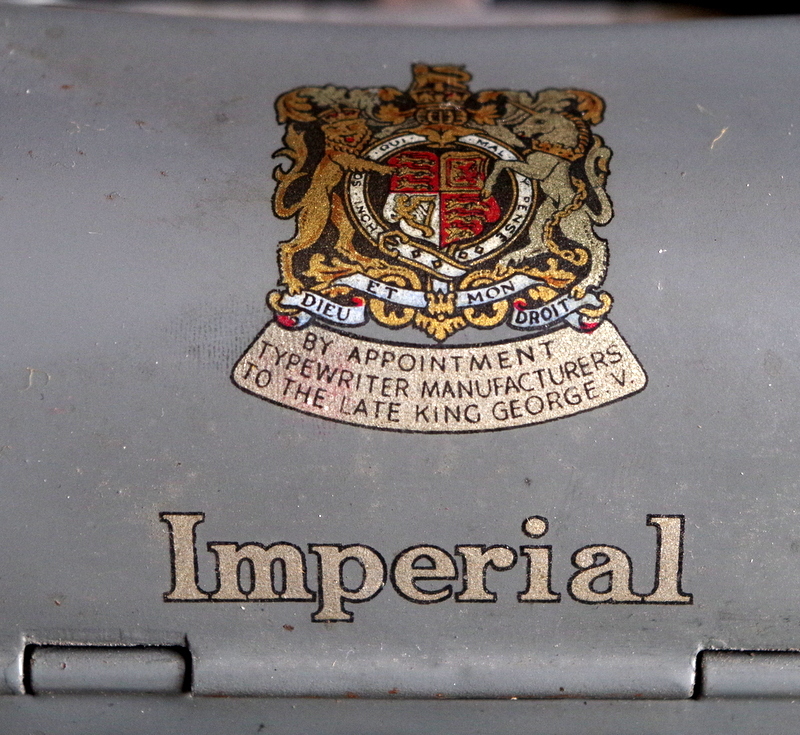 However, the space bar releases the margin stop, unlike any other typewriter I’ve known. Inspection of the mechanics indicates to me that this is normal, but it does seem odd. 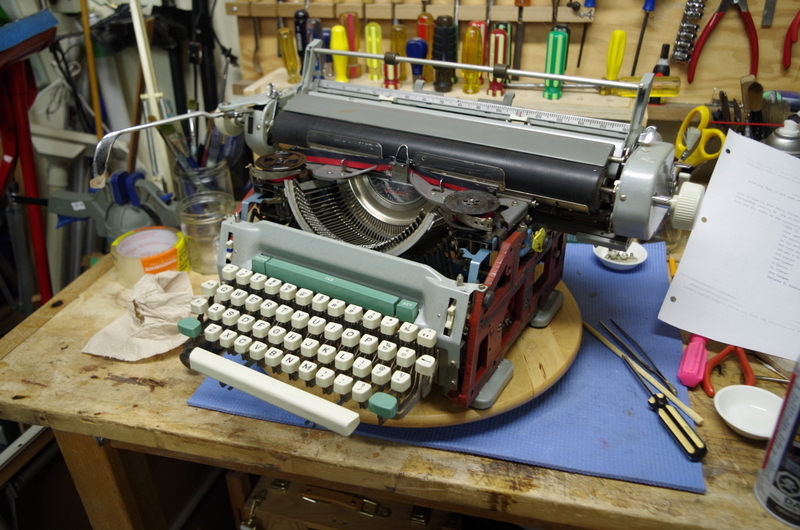 Once I got it all back together I gave the ribbon a rubdown with WD40, which revived the ink very well, and then I wrote the following piece. Forgive the typos, I just dashed this off as a test. The SG1 certainly works well enough, but I see no reason for having such a monstrous typewriter around here, so I will sell it. Whatever I get will not cover the many hours of disassembly, repairs and cleaning, but that was part of the fun of having it here for a while and admiring the engineering that went into it. 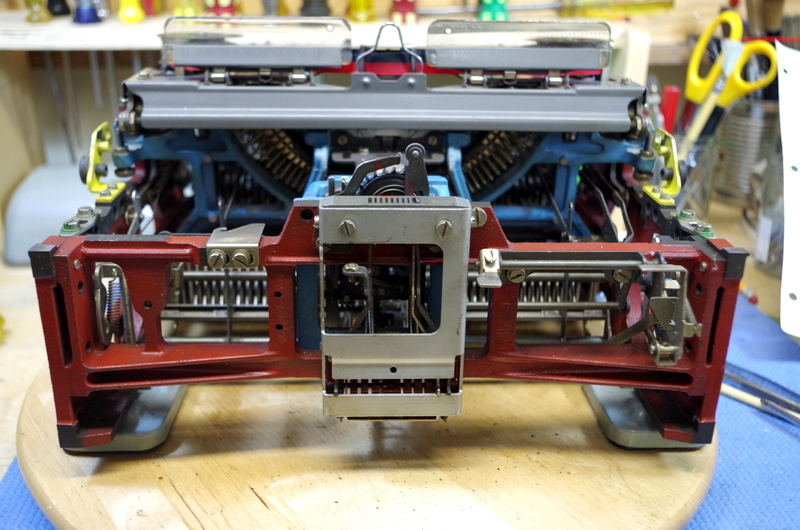 Among other things I did was to disassemble the tabulator brake to get that working, another marvel to behold as the carriage glides slowly along and gently comes to rest when the tab bar is tapped. 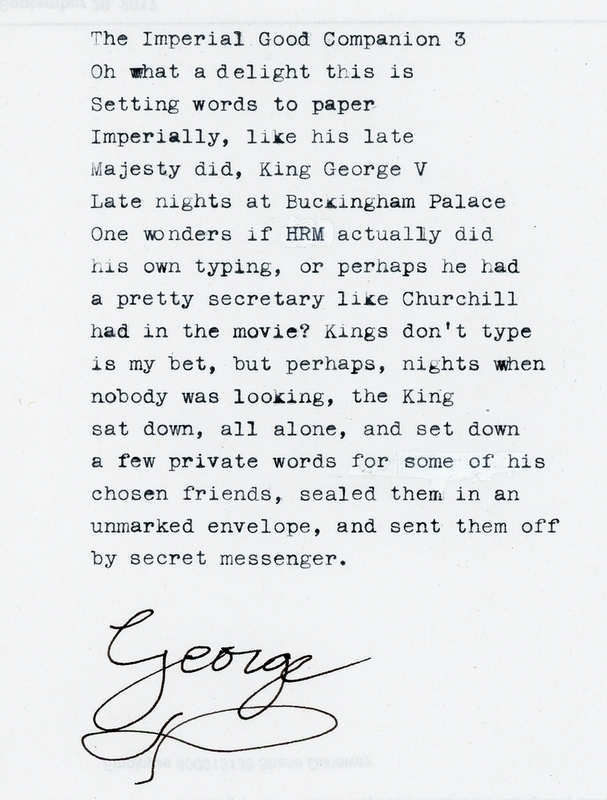 We recently saw the movie The Darkest Hour in which Churchill dictates letters to his lovely young secretary, who types on an Imperial typewriter. Seeing this I knew I had to get an Imperial, but I had no idea it would happen so fast. 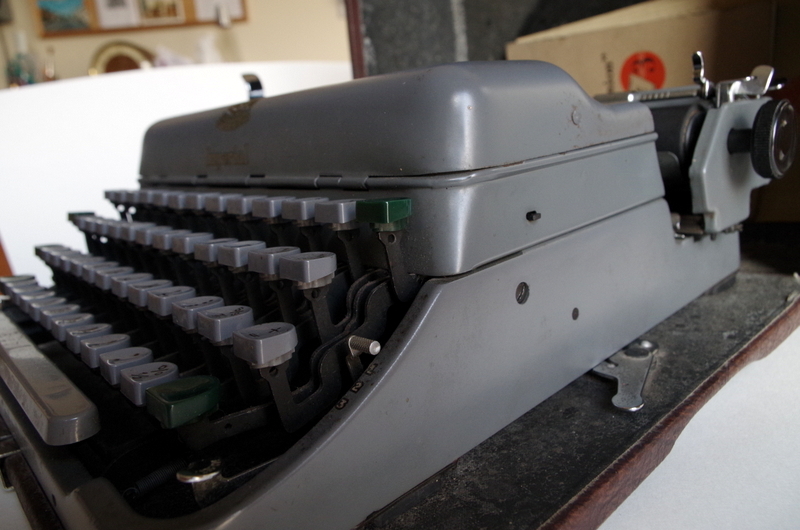 It was a week that will live in the history of my typewriter collecting. 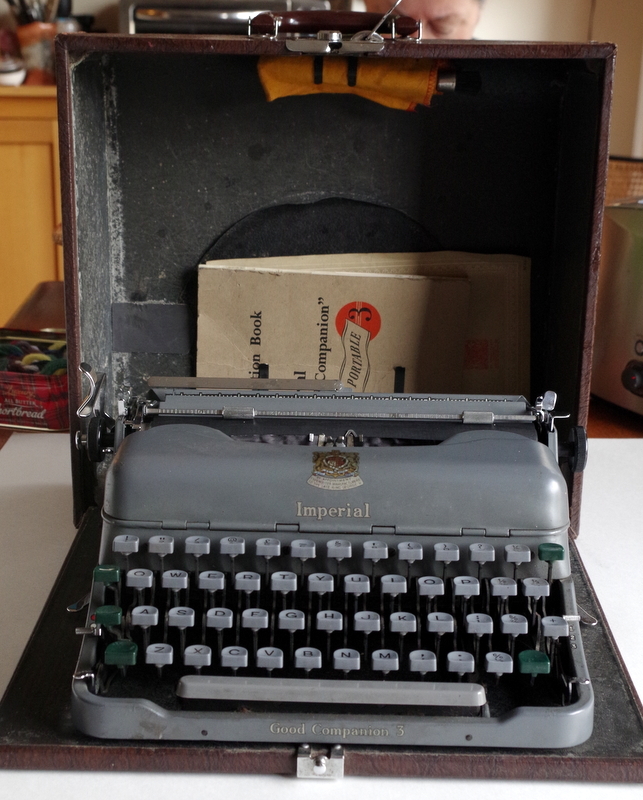 I sold all 3 of my Olympia Traveller/SFs with script face, and purchased 4 other typewriters. It was all quite by chance. 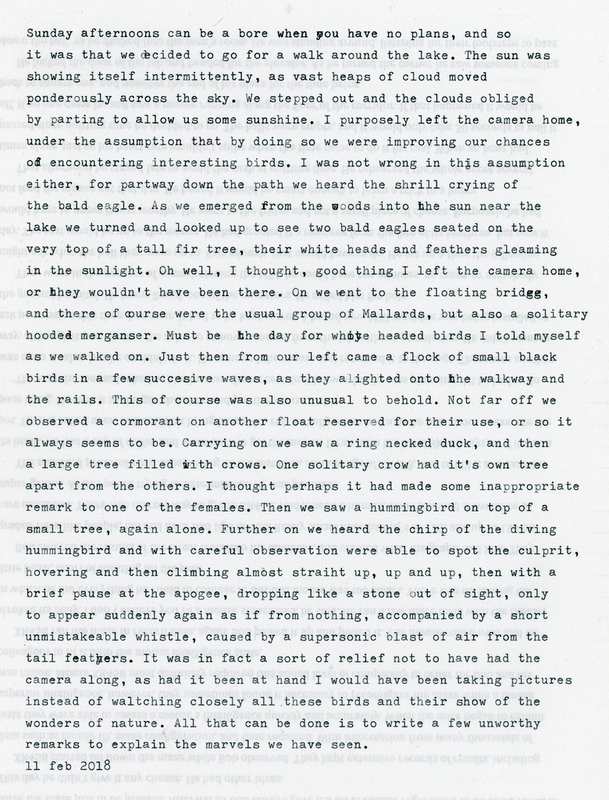 I listed a Traveller script and had multiple inquiries. With all the interest I decided to sell while the market was hot so I could get some cash and also make room in the shop. Little did I suspect what was going to happen next. 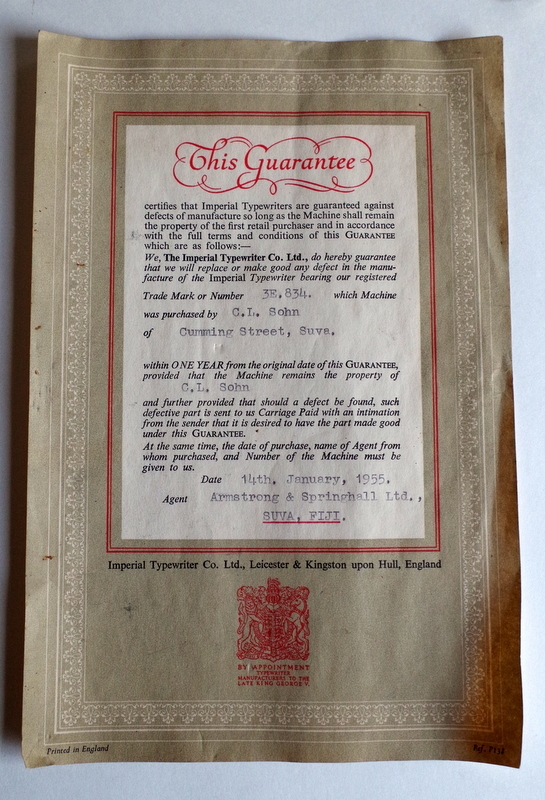 Last Monday I put a Traveller in the mail to a fellow in Washington, then on my way to town I put in a bid for a 1954 Imperial Good Companion 3 being auctioned at the Sally Ann. I carried on to hit 2 more thrifts and picked up 3 typewriters: an Olympia SG1, Olympia SF, and a 1949 Remington Noiseless 7. 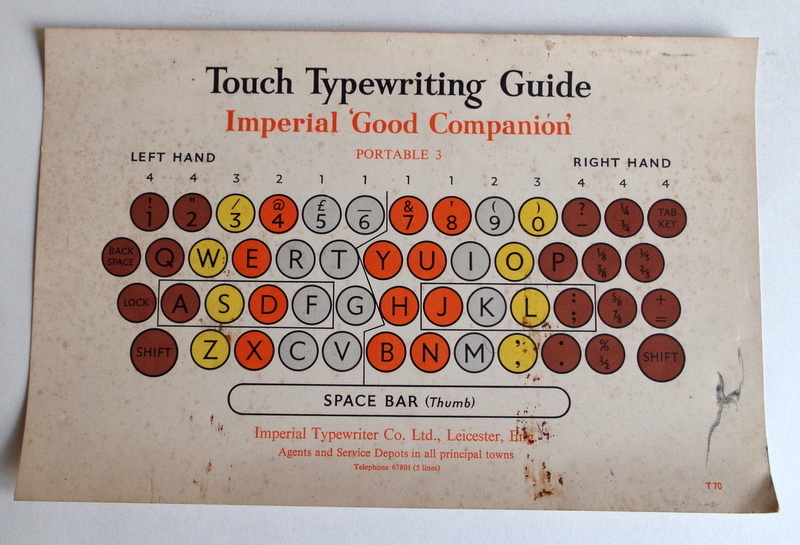 The SG1 was filthy and the typebars stuck with tarry goo. The SF had been dropped and the carriage was detached, the back panel smashed. 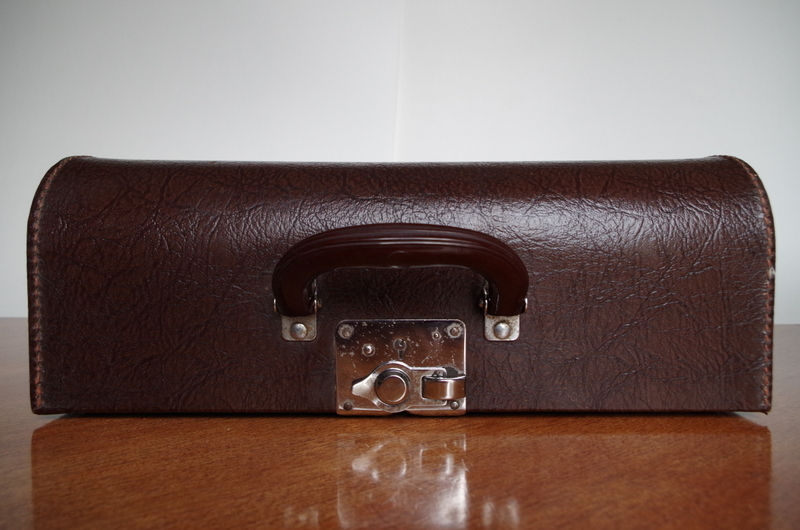 The Remington was perfect however, and even had the key to the case. Today I am featuring the Good Companion, which I won, to my surprise, for $22! What an interesting find. 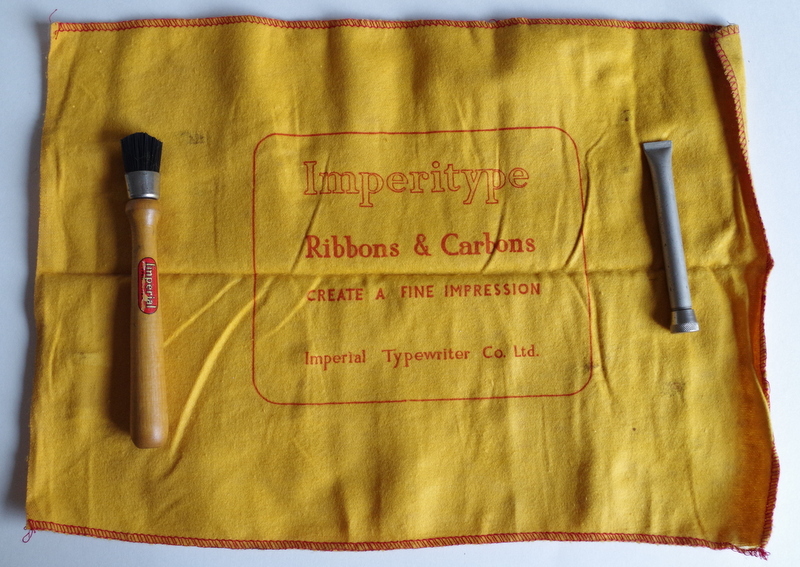 It came with the original warranty sheet, instruction manual, brush, wiping cloth, oiler, a few sheets of carbon paper, and typing instruction sheet with finger positions! It has a lovely typeface, similar to the Oliver Courier, and more stylish than most. The machine was sold in Fiji, in January 1955. The list of dealers in the manual has them all over the globe, but none in the USA. 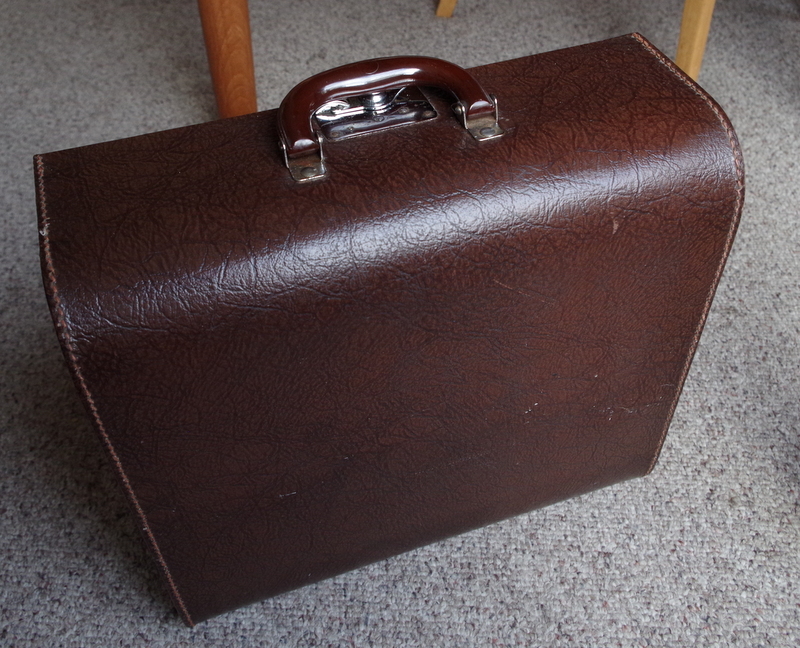 The case is very fancy, and looks like real leather. There was one minor issue, the platen clutch was seized. I was able to fix it with a squirt of super lube, but I had to remove the platen to do this. It took about five attempts to reassemble, but at last it went back together and now the clutch works. 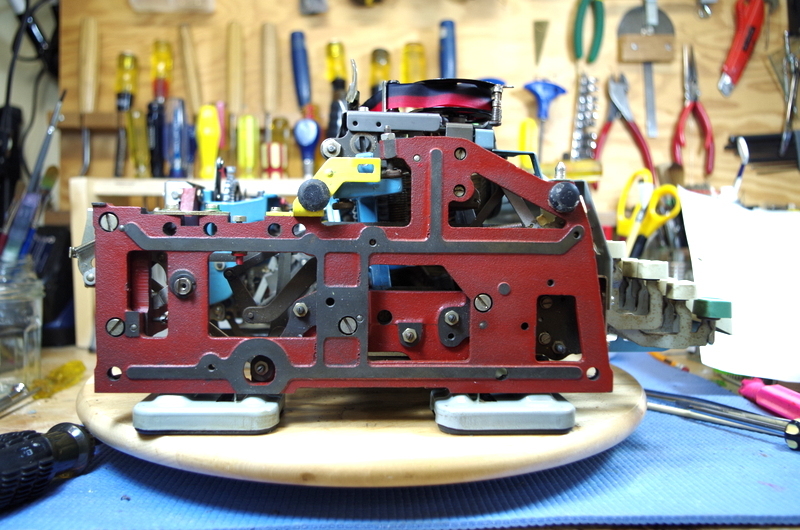 While it was apart I discovered that the inside of the platen was made of wood. I wonder what sort of oil that was? There was no oil in the tube, but the brush works. 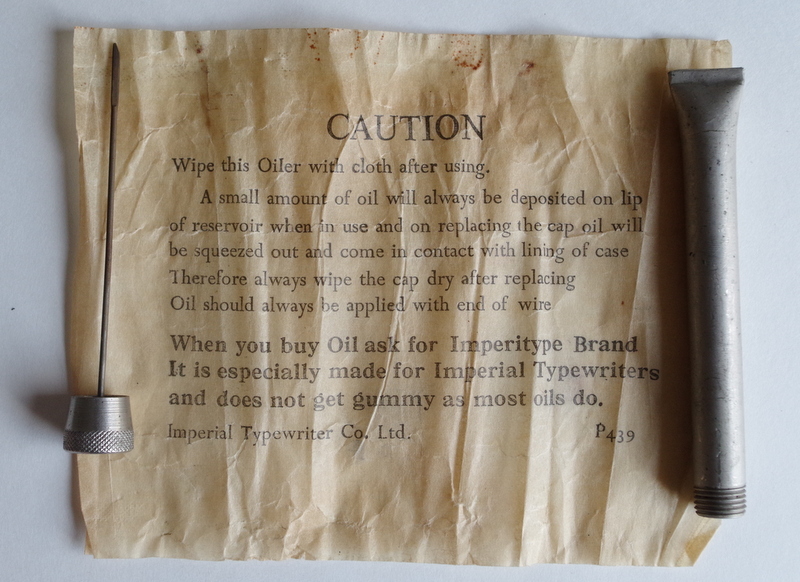 The cloth is a bit oily, so I won’t be using it for wiping the typewriter. I’ll stick to hunting and pecking. Should have learned in high school! Thank you, C.L. Sohn, for keeping all the paperwork and the accessories.